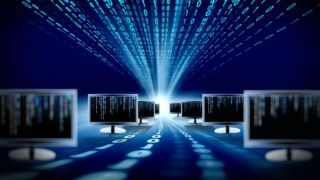 While businesses continue to focus their virtualisation efforts in their data centres, many IT managers are now turning their attention to virtualisation of the desktops in their businesses. Decoupling the applications that typically run on a user's desktop from the underlying operating system enables the creation of a virtual environment to that is much more flexible and easier to manage over the long term. Here a virtual desktop infrastructure (VDI) is created that uses the familiar client/server model to deliver a standard desktop and applications to the end user. However, desktop virtualisation can also be localised with virtual machines running on each desktop tailored to the specific needs of the user. A good example here is VMware Workstation. This kind of desktop virtualisation would be appropriate in a customer support role where multiple versions of Windows need to be running in order to answer customer queries as they come in. To ensure you choose the right kind of desktop virtualisation there are some questions you can ask yourself. Number one is whether the vast majority of the applications running on your desktops are identical or require data sharing? If so, a VDI approach to desktop virtualisation would be appropriate, as the applications in question can be run centrally from a server, which will also store and share any data created between multiple users. If end users need operating system access, localised desktop virtualisation would be more useful. Two is will your staff need remote access to their desktops using their own devices? In this scenario a centralised VDI deployment of desktop virtualisation would be ideal, as users can access their virtual desktops from any internet connected device, no matter where the location. Thirdly, can your network handle the traffic that a VDI environment would generate? As VDI installations rely on the network that supports the connection between the desktop and the servers, the performance of the network itself must offer high levels of performance to minimise desktop refresh lag, as the workloads change through the working day. A good user experience is paramount if the virtual desktops are to be adopted and used throughout your business. Fourth, are all the appropriate licenses in place to legally run your virtual desktop environment? As a VDI will use one centralised copy of an application, it's vital to look closely at the licences attached to each of these applications. Check with the vendors of each application that will run on each virtual desktop to ensure the correct licence is in place. Finally, how will you manage the virtual desktop environment across your business? One of the key issues when desktops are virtualised is how they will be managed. Here management and support applications such as Dell's KACE provide a reliable platform. These are available as both physical and virtual form factors, providing IT managers with a variety of deployment options that allows them to leverage their investment in their VMware Infrastructure.